Stan Lee and Jack Kirby's very first Fantastic Four comics are simply wonderful, and this particular plot orchestrated by Doom is a testament to that. 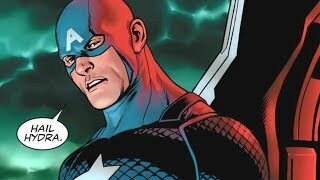 In what was his first appearance as a part of the Fantastic Four comic, Doctor Doom kidnapped the Invisible Woman (Sue Storm) and forced the group to travel back in time to the eighteenth century to the Golden Age of Piracy to steal Blackbeard's enchanted treasure. Zany? Yes. Evil? Absolutely. 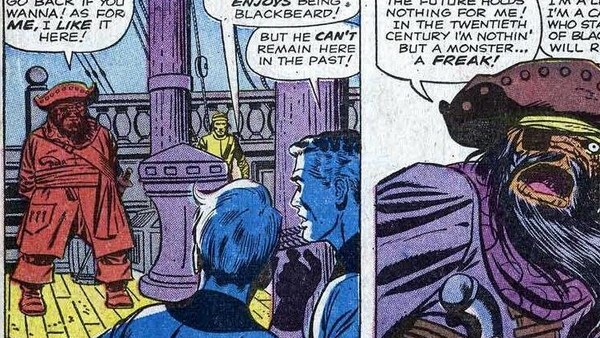 Though, in a bizarre twist of fate (and a time paradox), it turned out that Ben Grimm was actually the original Blackbeard, with the Four's time-travelling journey having brought about the creation of the infamous pirate in the first place. Although this particular scheme wouldn't foreshadow the character's most horrific crimes, it did illustrate both his power and his genius. Doom's plots would only get more harebrained from then on in, providing the Four with a deadlier challenge each and every time he returned.